Jānis Zelmenis is among those experts in taxes, business mergers, acquisition and restructurization deals who are most frequently quoted by media, he has a perfect knowledge of both national and international law. 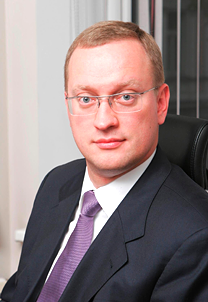 His experience of lawyer is related to representing in courts the interests of local and international companies in civil cases, as well as solving tax disputes. J.Zelmenis attended numerous international conferences and seminars, and is a regular author of publications on topical tax matters in the leading Latvian business media. Prior to establishment of BDO Law, he gained professional experience while working at Blugers & Plaude, which is the first free-standing law office in the independent Latvia. Gradually moving up the career ladder, he worked at Price Waterhouse and successfully completed his employee career as a partner in audit company Deloitte. A successful lawyer’s career of the Honorary Consul of Malta in Latvia is based on his excellent education – he has a Master’s degree in Private International Law from the Central European University in Budapest, and a Master’s degree in Law from the Moscow Institute of International Relations. Jānis Zelmenis speaks Latvian, English, Russian, Swedish and Portuguese.